Tiana brings a solution-oriented approach to her clients’ complex commercial litigation. An experienced litigator, Tiana handles cases from pre-settlement negotiations and early motions practice through discovery, mediation, and if necessary, trial and appeal. The focus of her practice is understanding the client’s needs, and crafting an individualized strategy to both win the legal argument and meet the business objective. Tiana’s practice focuses on breach of contract, business torts including complex fraud and civil RICO, and professional liability. Tiana has also litigated a number of cases involving technology and software contract issues, healthcare information technology, and patent litigation. 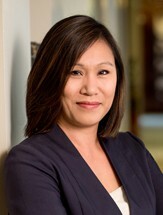 Tiana’s litigation experience is national, with extensive practice in the state and federal courts of Georgia before both the trial and appellate courts. Additionally, Tiana has often litigated international aspects of commercial litigation including coordination of counsel for multiple pending proceedings, the United Nations Convention on Contracts for the International Sale of Goods and international abstention. Obtained $11.1 million jury verdict at trial for breach of software contract case in the Northern District of Georgia. Counsel for Greenway Medical Technologies, Inc. (now Greenway Health), leading provider of health information technology and EMR and practice management software. Acted as national litigation counsel, representing client in variety of commercial disputes with vendors, business partners and counseled in employment matters. As lead counsel, obtained summary judgment in favor of Greenway on a counterclaim for breach of contract. See PSS World Medical, Inc. v. Greenway Medical Technologies, Inc., Civ. Action No. 3:09-CV-01019-TJC-JRK (S.D. Fla.). Experience in international law and with international parties including representation of local wholesalers of copier toner and printer cartridges against the Hong Kong subsidiary of a multinational Chinese conglomerate. Co-lead counsel at trial in federal court resulted in verdict for our client. See Innotex Precision Limited v. Horei Image Products, Inc. and ITM, Inc., Civ. Action No. 1:09-CV-0547-TWT (N.D. Ga.). Represented national processor/distributor of scrap metal in dispute relating to sale to Chinese buyer. J&D Int’l Trading v. Omnisource corporation, Civ. Action No. 1:13-CV-2526-RWS (N.D. Ga.). Multiple representations as active local counsel in patent litigation (across a range of industries) before the United States District Court for the Northern District of Georgia. Successfully defended a $500 million RICO case filed against twenty corporate and individual defendants located all over the world. After the complaint was filed in the U.S. District Court for the Northern District of Georgia, Tiana worked with a team of Bondurant lawyers and led an effort that persuaded the district court to stay based on international abstention due to related litigation in foreign courts. Once the court allowed a narrower range of claims to proceed, the team that successfully moved the court to dismiss all the plaintiff’s claims and successfully defended that dismissal in the U.S. Court of Appeals for the Eleventh Circuit. Successfully defended a private corporation and its outside counsel in a series of malicious prosecution cases alleging RICO claims, conspiracy, and violations of the plaintiff’s constitutional rights. Tiana worked with a team of Bondurant lawyers who procured the dismissal of two cases filed in federal court as well as a third case filed in the Fulton County State Court and successfully defended those dismissals in the U.S. Court of Appeals for the Eleventh Circuit and the Georgia Court of Appeals. Representation of Singapore resident in a suit brought by a Saudi Arabian Sheik, arising out of a private investment fund. See Amana I SA v. Cairnwood Group, LLC, Civ. Action No. 06-CV-114931 (Sup. Ct. Fulton County). Representation of plaintiffs and defendants in various class action litigation. Class allegations have included: assertions of race discrimination; shareholder securities class action alleging concealment of information to manipulate stock price; shareholder securities class action alleging concealment of payments in violation of Foreign Corrupt Practices Act; and, consumer claims brought in a class arbitration before the American Arbitration Association. Successfully represented numerous high-net worth individuals in the resolution of fraud, Georgia RICO and malpractice claims against their accountants and tax preparers resulting in over $100 million in settlements and awards.